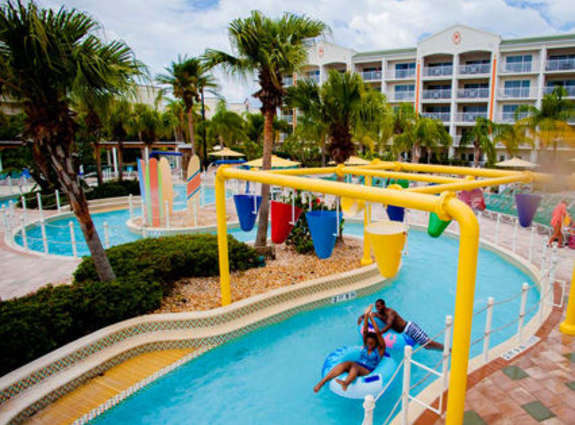 Cocoa Beach is a family-friendly destination located 45 minutes east of Orlando and is easily the most recognized city on Florida’s Space Coast. This authentic beach town has the perfect combination of sun, sea and space for you to explore. From oceanfront happy hours to world-famous surfing, nature and monthly rocket launches from the Kennedy Space Center area, there&apos;s something for everyone here. Cocoa Beach is only 45 minutes from Orlando International Airport and less than an hour from the world famous, central Florida theme parks. After a few days at the parks, visitors to Cocoa Beach consider the trip a vacation within a vacation. We call the area the Space Coast for a reason. From Cocoa Beach, you can visit attractions like the Kennedy Space Center Visitor Complex or American Space Museum & Space Walk of Fame, all less than 30 minutes away. From here, you can take off on the Shuttle Launch Experience, marvel at the new Space Shuttle Atlantis Exhibit and get an "up close" look at the space program&apos;s launch pads. Not only can you experience wondrous exhibits of the past through the museum but you can watch real-time launches from the comfort of your room in Cocoa Beach. While oceanfront restaurants and the Westgate Cocoa Beach Pier are popular places to view rockets take off for space, really any spot in Cocoa Beach is considered an excellent viewing area. You&apos;ll forever remember the trembling of the ground and the breathtaking sight of lift off. Cocoa Beach is the East Coast surfing capital with its world champion surfers, renown surfing competitions, world-famous Ron Jon Surf Shop and Florida Surf Museum, and Cocoa Beach Surf Company. Cocoa Beach is the perfect spot to learn how to surf with its easy-going surf and its many surfing schools, including the most popular, Ron Jon Surf School. Are you a daredevil? Take up kite surfing or parasailing with certified trainers an equipment rental on every corner! Cocoa Beach is home to Kelly Slater, 11-time ASP World Tour Champion and considered one of the greatest surfers of all time. Take your picture next to his bronze statue where State Road A1A splits into one-way north and one-way south in Downtown Cocoa Beach. Take a kayaking trip around Cocoa Beach&apos;s Thousand Islands where hundreds of manatees, dolphins and other wildlife dwell. Many local kayaking trails are a birdwatcher&apos;s paradise. Cocoa Beach is also part of the largest sea turtle nesting grounds. In fact, we house the second largest population of nesting Loggerhead Sea Turtles in the world. Green and Leatherback Sea Turtles also nest here, and occasionally we see a Hawksbill or a Kemp&apos;s Ridley. When it&apos;s nesting season (and if you follow the rules - don&apos;t disturb: no flashlights, no flash photography) a limited number of guided walks are available for visitors to observe sea turtles creating life. Check out how others vacationed in Cocoa Beach!